Hailing from Berlin, Klaus Schulze is one of the pioneers of electronic music. In the late 60s though, he was a drummer and an early member of Tangerine Dream, playing on their debut album Electronic Meditation. By 1970 he had left for Ash Ra Tempel, and upon leaving that band for a solo career, he made the switch to keyboards. His debut album, 1972's Irrlicht, was recorded on an organ and manipulated tape. Yet by the following year, he had added synthesizers to his arsenal, and began to tour throughout Europe. The career-defining Blackdance appeared in 1974 on Brain/Metronome, with international release now on Virgin Record's Caroline imprint. Released in early 1975, Picture Music marks his acquisition of the EMS VCS3 synthesizer. "Totem" graces the first side. Rising from a percolating pulse, the gentle tones dance effortlessly throughout, presenting one of the most amazing pieces of electronic music. Though similarities to Tangerine Dream could be drawn, Schulze's work is more meditative and accessible. 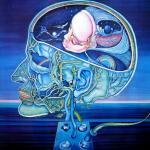 The second side's "Mental Door" offers a far more complex soundscape, utilizing drums for the underlying rhythm. After a lengthy introduction, Schulze's improv on an ARP dominates, before yielding to a protracted cosmic fade. The album is one of the finest examples of purely electronic music. The popular Timewind, another of his classics, was released later the same year. An ode to Richard Wagner, the album is ambient, ethereal and romantic. This prolific period of Schulze's career would continue well into the 80s, as he released numerous albums and soundtracks, toured Europe many times, and participated in many projects, such as Go and Richard Wahnfried. He even found time to curate the Innovative Communication label with Klaus D. Mueller. Kansas stems from the unlikely place of (you guessed it) Kansas. In the late 60s, high school classmates Phil Ehart and Kerry Livgren each led competing bands in their native Topeka. 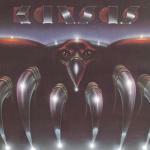 By 1970, the two bands united as Kansas, only to split the following year. Drummer Ehart then went to England to look for musical inspiration (which he didn't find), and quickly returned to reform his original band, White Clover. He recruited Steve Walsh and Robby Steinhardt along the way, while bassist Dave Hope and guitarist Rich Williams joined in 1972. Livgren's group (referred to as Kansas II) had continued all the while; yet by 1973, he too was persuaded to join White Clover, fulfilling their need for a second songwriter. In 1973, the six-piece band, now named Kansas, signed to rock promoter Don Kirshner's label and released three albums in the space of two years; each was incrementally more successful than the other, as the result of continuous touring. Their 1974 self-titled debut starts like the crack of a whip; "Can I Tell You" was one of the demos that got the band signed. Set apart from their progressive British contemporaries, Kansas reveals more influence from heavy rock outfits such as Deep Purple. Taking cues from Southern rock as well, their sound is certainly American, though their "three parts to the ensemble" of guitar, violin and keyboard is unique and firebrand. Released in 1975, the band's second album Song For America featured the excellent title track, also released as a single. It's a Kansas standard that shifts through each classically-influenced section, punctuated by a driving beat. Throughout, Steinhardt's virtuoso violin and Walsh's soaring voice create the band's signature style. "Lamplight Symphony" follows a similar path. The second side's "The Devil Game" is a blistering rocker, while "Incomudro - Hymn to the Atman" displays the band's instrumental prowess. The album reached No. 57 on the US charts and was the first to feature their distinct logo, designed by Peter Lloyd. Hailing from Munich, saxophonist Klaus Doldinger (b. 1936) had an illustrious career throughout the 1960s, playing with such jazz luminaries as Don Ellis and Donald Byrd. But in the late 60s, he hooked up with the younger generation to explore psychedelic and jazz-rock terrains. He recorded two albums on the Liberty label with Motherhood, a band that included the yet-to-be-famous Udo Lindenberg on drums and a pre-Amon Düül II's Lothar Meid on bass. 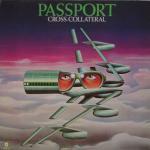 Adding Jimmy Jackson on organ and Olaf Kübler on tenor saxophone, they morphed into Passport in 1971. Amidst ever-changing lineups, Doldinger would release another couple of albums (the first two compiled as Doldinger in the US), as he refined his jazz-rock compositions into his own brew of fusion. 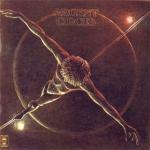 The great breakthrough came on the fourth album, Looking Thru, in 1973. Doldinger had now assembled his formidable all-German team: bassist Wolfgang Schmid, drummer Curt Cress and keyboardist Kristian Schultze. Doldinger's soloing style is lyrical, as are his melodies; and Passport always delivered jazz-rock that was easy to digest: never dense or overly technical, yet with enough weight to avoid fluff. It all reached a peak here on Cross-Collateral. "Homunculus" soars high above its huge bass line. The title track gets hyperkinetic; but after Cress's break, it slows down into a funkier groove, before again being propelled by Cress's quick tempo. The second side follows in similar style; "Will-O'-The Wisp" sways to its crispy electric pianos, while "Albatros Song" floats through its more open arrangement. The following year saw the band release the like-minded Infinity Machine. Doldinger took Passport to Brazil for their next record; and despite the obvious Latin flavor, the album, as the cover art would suggest, signaled the start of a more commercial slant that Doldinger would pursue well into the 80s. 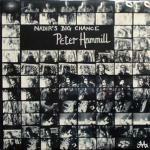 Following the break-up of Van der Graaf Generator in late 1972, Peter Hammill pursued his solo career in earnest. Released in 1973 and 1974, respectively, both Chameleon In The Shadow Of The Night and The Silent Corner And The Empty Stage were primarily acoustic affairs, showcasing Hammill's one-man show (but not without contributions from former VdGG members). There's no license in labeling them as love/hate affairs; Hammill's voice could reach manic proportions, often bordering on the unlistenable: Check out the former album's "In the End." But In Camera, also released in 1974, was more experimental. Its highlight was the VdGG-like "Gog," which then sank into the murky tape loops of "Magog." On Nadir's Big Chance, however, Hammill gathered Banton, Evans and Jackson, and assumed the role of protagonist Rikki Nadir. It's definitely a group effort; and in fact, the quartet agreed to reform VdGG during the recording of the album. Here, Hammill trades in his usual one-man pallor for an altogether livelier and electric set. The album alternates between the urgency of the title track or the angst-ridden "Nobody's Business" and the contemplative "Shingle Song" or the languorous "Pompeii." "The Institute Of Mental Health, Burning" though is particularly inventive; backwards and panning guitars certainly add to the arrangement. Hammill reprises "People You Were Going To" from VdGG's first single, as well as Chris Judge Smith's "Been Alone So Long." 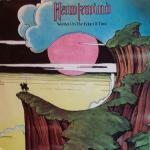 The album concludes with the funky electric piano of "Two or Three Spectres," which is a perfect example of Hammill's newfound attitude. The proto-punk album would garner near-mythical status, with kudos from artists as diverse as David Bowie and John Lydon. Hammill then put his solo career on hold, as the "second generation" of VdGG was just months from taking the stage. Along with a host of guests from the French progressive scene, Cyrille Verdeaux recorded a series of albums under the umbrella of Clearlight. The Paris-born keyboardist had a formal musical education at Conservatoire de Paris, and this experience certainly shaped his compositions. Signed to Virgin Records in the wake of Tubular Bells' success, the similarities between Mike Oldfield and Clearlight are purely topical: If Oldfield represented a folksy, hippie vibe, then Clearlight was the opposite—the French sophisticate. As its title suggests, Symphony is indeed a large-scale concerto, and one of the earliest works that truly earns the description "symphonic." On one side of the album, guitarist Christian Boulé and drummer Gilbert Artman, the latter the leader of Lard Free, aid Verdeaux. Propelled by the rhythm section of Artman and bassist Martin Isaacs, Verdeaux's excellent keyboard work favors piano and Mellotron. His composition hints at minimalism and jazz, but the work is far denser, driven by massive motifs and rich instrumentation. The other side of the album features a drum-less piece recorded at Virgin's The Manor Studio with Gong members Steve Hillage, Didier Malherbe and Tim Blake; the latter also shared production duties. There's more openness to this side, with Blake's synthesizer lending a cosmic edge. Guided by piano, the piece rolls through each section's theme with intensity and a modicum of weirdness (something I always like). Yet with Verdeaux's work ultimately rooted in composition and the classics, the side ends in a resplendent finale. The album saw release in 1975, almost a year after it was recorded. In between, Verdeaux hosted the psychedelic Delired Chameleon Family album, a soundtrack for the Pierre Clémenti film, Visa de censure no. X. Along with a host of guests from the French progressive scene, Cyrille Verdeaux recorded a series of albums under the umbrella of Clearlight. The Paris-born keyboardist had a formal musical education at Conservatoire de Paris, and this experience certainly shaped his compositions. Signed to Virgin Records in the wake of Tubular Bells' success, the similarities between Mike Oldfield and Clearlight are purely topical: If Oldfield represented a folksy, hippie vibe, then Clearlight was the opposite—the French sophisticate. As its title suggests, Symphony is indeed a large-scale concerto, and one of the earliest works that truly earns the description "symphonic." On one side of the album, guitarist Christian Boulé and drummer Gilbert Artman, the latter the leader of Lard Free, aid Verdeaux. Propelled by the rhythm section of Artman and bassist Martin Isaacs, Verdeaux's excellent keyboard work favors piano and Mellotron. His composition hints at minimalism and jazz, but the work is far denser, driven by massive motifs and rich instrumentation. The other side of the album features a drum-less piece recorded at Virgin's The Manor Studio with Gong members Steve Hillage, Didier Malherbe and Tim Blake; the latter also shared production duties. There's more openness to this side, with Blake's synthesizer lending a cosmic edge. Guided by piano, the piece rolls through each section's theme with intensity and a modicum of weirdness (something I always like). Yet with Verdeaux's work ultimately rooted in composition and the classics, the side ends in a resplendent finale. The album saw release in 1975, almost a year after it was recorded. In between, Verdeaux hosted the psychedelic Delired Chameleon Family album, a soundtrack for the Pierre Clémenti film, Visa de censure no. X.
Argent released a live album, Encore, at the end of 1974, which showcased the considerable talents of the original quartet. However, Russ Ballard then would exit for a rewarding career as a songwriter; while the remaining members would draft two guitarists, John Grimaldi and John Verity, as replacements, beginning with their 1975 studio release, Circus. Produced by Zombie alumnus Chris White, the album indeed revolves around the concept of a circus. Mellotrons ablaze, the title track starts the show, revealing a jazzy undertone to Argent's progressive rock. "Highwire" quickly changes pace: rollicking one moment, fiery fusion the next. Rod Argent's voice is rich and his vocal delivery convincing. "Clown" dials down the intensity of the proceedings; but the following "Trapeze," penned by Jim Rodford, gets the show back on course with a strong bass line and some trademark Hammond, before jumping back into a funky little groove. A couple more tracks round out the story before the rousing finale of the "The Jester" closes. The album is a testament to Rod Argent's songwriting and deft arrangements, as well as the band's impressive execution. Argent recorded one final album, Counterpoint, in late 1975, again venturing further into the fusion zone. But without any commercial success, and Bob Henrit in poor health, the band called it quits the following year. Subsequently, Rod Argent went into session work, opened a keyboard shop in London and recorded a lone solo album, Moving Home, with an A-list of guests (Phil Collins, Alphonso Johnson, Gary Moore) in 1978. The others formed the hard-rocking Phoenix, after which Rodford and Henrit both ended up in The Kinks, though at different junctures. Grimaldi sadly succumbed to multiple sclerosis in 1983. Banco is short for Banco Del Mutuo Soccorso or "Bank of the Mutual Trust." Hailing from Rome, the group centered around brothers Vittorio and Gianni Nocenzi's dual keyboards, and Francesco Di Giacomo's classic Italian tenor. Following a UK tour in 1974, the band was approached by Emerson, Lake & Palmer's Manticore label, who had already signed fellow countrymen Premiata Forneria Marconi. This contract led to the band's next album: a re-recording of several tracks from their previous three albums for Dischi Ricordi, all of which had made the top of the Italian charts. 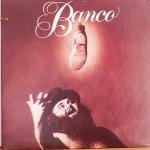 Simply titled Banco (though also referenced as IV), the album features Di Giacomo's rather large frame on the cover. The formal "Chorale" opens unceremoniously, but is followed by the lively "L'Albero Del Pane," an unreleased Italian song. Spirited, the track highlights the group's intricate arrangements, a rather ELP-inspired break and, of course, Di Giacomo's superb voice. However, the opening meters of "Metamorphosis" demand complete attention: Bold, complex and shifting, this is Rock progressivo italiano at its finest. 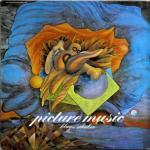 Along with the exceptional drumming of Pier Luigi Calderoni, Gianni's piano and Vittorio's Hammond and synthesizer intertwine effortlessly as the track evolves into a striking masterpiece "Outside" (original title "RIP") gives new guitarist Rodolfo Maltese some room to stretch before digressing into something a little more bel canto. The next pair of songs offer translations to English from Marva Jan Marrow, who also worked with PFM. Whether they add anything to the equation is debatable, as Di Giacomo's voice is a treat no matter what language he sings in. The gentle "Leave Me Alone" (originally "Non mi rompete") is uncharacteristically acoustic and reminiscent of PFM or Le Orme; while the liberal use of synthesizers and interplay between musicians adds a unique Banco feel to "Nothing's The Same" (original "Dopo niente e più lo stesso"), certainly another highlight of the album. The final track "Traccia II" brings the album full circle, but sounds like a midi file. Without a doubt, Banco's first three records—the self-titled debut Banco Del Mutuo Soccorso, Darwin, and Io Sono Nato Libero—are worth more of an investigation than this compilation offers. Camel's inspiration for their third album, The Snow Goose, was a novella written by Paul Gallico, for which the author won an O. Henry Award in 1941. The band did not receive the author's blessing, however, and subsequent pressings would be retitled (Music Inspired By) The Snow Goose to avoid copyright infringement. The all-instrumental album was again produced by Genesis and Caravan cohort David Hitchcock, and featured orchestral arrangements from David Bedford. Set during WWII, Gallico's short story concerns an old man who is befriended by a young girl and an injured goose; so, it goes without saying that there's precious little heavy rock inside! Nonetheless, Camel uses precise arrangements to provide a cohesive uniformity to the album's 16 vignettes, and ends up with one of progressive rock's better-executed concept albums. "Rhayader" features a light and melodic main theme that sets the album's course. Andy Latimer's lead guitar takes a rare spotlight on the following "Rhayader Goes to Town;" but in general, the album forgoes soloing for tightly controlled arrangements. Pete Bardens's keyboard work is first-rate, offering a variety of textures. Doug Ferguson and Andy Ward never stretch out too much either, instead providing a solid anchor throughout. The second side drifts towards a more introspective feel, with "Preparation" and "Epitaph" both reprising a simple, haunting melody. David Bedford's orchestrations of "Friendship" and "La Princesse Perdue" are rich and judicious, but never overfilling. The album sounds spacious, inspired and relaxed; if not everything needed to "rock out," Camel certainly would take top honors. 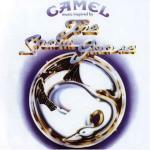 The album was Camel's first in a long stretch of charting records, reaching No. 22 in the UK. 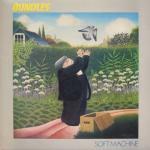 By 1973, Soft Machine was down to one original member, organist Mike Ratledge, and three former Nucleus members, sax and pianist Karl Jenkins, bassist Roy Babbington and drummer John Marshall. The band then switched labels to EMI's Harvest Records, and in an act unprecedented since their very beginnings, forwent with numbering for their next album's title, Bundles. Also, unprecedented since their first single (though perhaps precipitated by an NDR session with Isotope's Gary Boyle in 1973), was the arrival of a guitarist, Allan Holdsworth. Here, Soft Machine come close to reinventing themselves. The opening bars of "Hazard Profile Part One" reveal a modern jazz-rock, with of course, the guitar as the focus. Holdsworth is the main soloist, and certainly he picked up a thing or two from Ollie Halsall since we last heard him in Tempest. The following "Part Two (Toccatina)" goes acoustic, and after a few more brief "Parts," Ratledge lets loose on the synthesizer for "Part Five." The second side's "Bundles" and "Land Of The Bag Snake" further the band's new design; Marshall's drumming in particular shines, as does the mix of electric piano and organ. The Ratledge-penned "The Man Who Waved at Trains" and "Peff" offer some jazz, while Jenkin's closing "The Floating World" indeed floats effortlessly off into a dream. The album was recorded following the Montreux Jazz Festival in July 1974, though released almost a year later on Harvest. 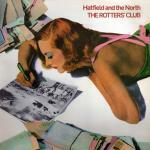 Released in June 1976, Softs was musically similar, but would see further change in personnel. Ratledge would depart before the album's completion, ending the last vestige with Softs' original lineup, while Holdsworth had already followed his nomadic spirit to The New Tony Williams Lifetime. His replacement, guitarist John Etheridge, had previously played in Darryl Way's Wolf, followed by a quick stint with Global Trucking Village Company, while saxophonist Alan Wakeman, a cousin of Rick Wakeman, allowed Jenkins full keyboard duties. It would be the last studio album from Soft Machine for nearly five years. While still a member of Gong, Hillage was afforded the opportunity by Virgin Records to record a solo album. 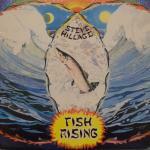 It's no surprise then that Fish Rising contains most of the Gong crew, plus Hillage's partner Miquette Giraudy and former bandmate Dave Stewart. In fact, much of the material here was first written during the second incarnation of Khan in 1972. Stewart's keyboards give "Solar Musick Suite" (sic) a none-too-subtle nod towards the so-called Canterbury sound. Beginning with a cheerful melody, the opening track travels through a few Gong-like instrumental sections before winding up; Hillage's distinctive, echo-inflected lead guitar is prominent. Side two is more typical of the direction his music would eventually take. The main riff of "The Salmon Song" is simple, repetitive and, above all, memorable: the anchor on which the song rests. Lindsay Cooper's bassoon adds a foreign flavor, but the bubbling synthesizers and "space whisper" of Giraudy steer things more toward the Gong side of the fence. "Aftaglid" demonstrates more of Hillage's guitar technique with the Eventide delay. From the opening bell, he adds his guitar lines over the extremely laid-back beat, before erupting with a massive lead guitar run; it's followed by a rare acoustic piece that evolves into an ethnic-tinged section (courtesy of the tabla) before the song again reprises itself. This would be Hillage's only solo album to feature Gong members; and the last with such overt Gong influence. The album rose to a respectable No. 33 in the UK charts. Hillage then took his leave from Gong; and after a very brief stint with Dave Stewart's National Health, he embarked on his solo career in earnest. Originating from the German city of Cologne, Birth Control was one of the first German rock bands, releasing their debut album in 1970. They played heavy rock with styling not dissimilar to Vanilla Fudge or Deep Purple; and their self-titled debut even saw a US release. The core of drummer Bernd "Nossi" Noske and guitarist Bruno Frenzel then led the band through a few well-executed but ultimately unspectacular follow-ups. In 1974, keyboardist Bernd "Zeus" Held and bassist Peter Foeller joined for the Rebirth album, another heavy rocking affair. 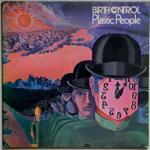 But this was all about to change: For their next album, Plastic People, Birth Control found inspiration in British prog rock. This was no cheap imitation either, as Held's keyboards here offer a richness to the heavy Birth Control sound. And despite the new complexity, the opening "Plastic People" still rocks hard. Held's command of the organ in particular is first-class. But then, "Tiny Flashlights" sees him switch to electric piano for its jazzier meter; while "My Mind" journeys into the classical realm, with assistance from Hoelderlin members. "Rockin' Rollin' Roller" lives up to its title, with Frenzel stepping up front. Noske's English-language vocals are gritty and strong—and perhaps the clearest of his German contemporaries. Both "Trial Trip" and "This Song Is Just for You" hark back to their previous work, though the latter offers some fastidious string and brass arrangements from Held. The album was original, exceptionally recorded and a positive change in direction for the band. One of the most popular live acts in Germany at the time, Birth Control earned themselves an invitation to tour the UK. As Hawkwind's longstanding contract with United Artists was ending, their next album was licensed back to United Artists (explaining why future reissues would be so difficult), and saw release in the US on Atco Records. The band added a second drummer, Alan Powell, during their European tour, but didn't replace the departing Del Dettmar. Warrior On The Edge Of Time drew on Michael Moorcock's concept of the "eternal champion" figure, first presented in his 1961 work Elric of Melniboné. The album—the band's first to be recorded at Rockfield Studios in Wales—enjoyed even better production than previous efforts, though it's still replete with Hawkwind's murky underground haze (a good thing). The opener "Assault and Battery - Part 1" and the ensuing "The Golden Void - Part 2" also retain that patented Hawkwind rhythm, though the combination of Nik Turner's flute and sax and House's keyboards add a new texture to the band's sound. Moving forward, the Neu!-ish "Opa-Loka" displays more of the band's new progression; while the atmosphere of Dave Brock's "The Demented Man" contains rich detail never before displayed on a Hawkwind record. The second side's "Magnu" and "Spiral Galaxy 28948," interspersed with Michael Moorcock's spoken-word soliloquies, further prove the band's musical evolution. Though the proto-punk single "Kings of Speed" b/w "Motorhead" didn't chart, the album reached No. 13 in the UK. Lemmy was subsequently fired from the band after a drug bust at the Canadian border; regardless, he would later drive his Motörhead to major international success. Paul Rudolph, ex-Pink Fairies, replaced Lemmy on bass; but after headlining both the Reading Festival and Watchfield Free Festival in August and completing tour commitments through the end of the year, Hawkwind would end ties with manager Doug Smith (for the first of many times), with a new era for the band just on the horizon. Following a BBC Top Gear session in June 1974, Henry Cow eventually merged with the German-Anglo band Slapp Happy. Originally from Hamburg, the trio set up shop in the UK after signing with Virgin Records; they first re-recorded their second album, Casablanca Moon, after Polydor refused to release it (recorded with Faust, the original recording eventually saw release as Acnalbasac Noom in 1980). 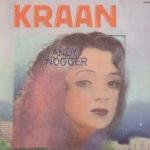 The first joint release between the two bands was Desperate Straights in March 1975, which saw Henry Cow's avant-music mixed with the heady cabaret of Slapp Happy, and the take-it-or-leave-it voice of Dagmar Krause. Though it mostly comprised of Slapp Happy members' Anthony Moore and Peter Blegvad's songwriting, the results were generally promising, leading to a second record in May, In Praise Of Learning. Here, the songwriting was more democratic. "War" leads off with a rousing melody and jazzy meter, followed by the epic construct of Tim Hodgkinson's "Living in the Heart of the Beast;" treading both the progressive and rock music, even Krause sounds tuneful on the track-it's the band's finest recording. "Beginning The Long March" and "Morning Star" are group compositions between the two bands; but mostly improvisations that drift into avant-weirdness. Chris Cutler and Fred Frith's "Beautiful as the Moon - Terrible as an Army with Banners" approaches a terrain similar to Magma in the fade, before descending into atonality. 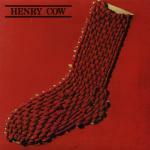 As with most of Henry Cow's output, none of it is easy listening-but that's not to say it isn't without reward. Anyway, the collaboration didn't last. Moore went solo, while Blegvad and John Greaves would unite for the Kew.Rhone album in 1977. Krause jumped ship and joined Henry Cow, appearing on the live Concerts album (with guest Robert Wyatt) in 1976. However, divisions in the Henry Cow saw it split in two: Frith, Cutler and Krause would further a vocal-based approach as the Art Bears, releasing Hopes and Fears in May 1978, while a final instrumental album from Henry Cow, Western Culture, would appear in 1979. All would then champion the Rock In Opposition movement and forge an alternative "industry" for like-minded artists; based partly on their political leanings, and partly out of necessity. By the time Hoelderlin got around to recording their second album, the band had changed considerably. Nanny de Ruig had departed, and another pair of brothers—Peter and Joachim Käseberg, on bass and guitar, respectively—now augmented the group. But more significant than the personnel changes was the new musical course Hoelderlin had adopted: British prog rock. Although there was a three-year gap between this album and their last recording, the band had continued to play live, clocking in hundreds of concerts over the years; undoubtedly this honed their skills. Hoelderlin begins with the fantastic instrumental "Schwebebahn," titled after the monorail in their native Wuppertal. 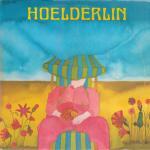 Though reminiscent of King Crimson, its sinister Mellotron and viola re-introduce Hoelderlin as an original prog rock act. A superb soloist, Nops Noppeney also lends a distinctive and very capable vocal. "I Love My Dog" also illustrates the band's command of the English language, which is perhaps better than any of their German contemporaries—and some of their British peers, too! Along with "Honeypot," it also harks back to their debut album's folk roots, though the execution and production here offer a new edge. The second side features the equally capable vocals of keyboardist Joachim von Grumbkow on "Nürnberg." But "Deathwatchbeetle," clocking in at nearly 18 minutes, is the album's triumph. The band's mix of acoustic and electric instruments build over the vast arrangement, incorporating everything the musicians have to offer: truly epic music. Released on the Spiegelei label, their albums would not see release outside of Germany. However, this record was the first in a trilogy for Hoelderlin that represents some of the finest progressive rock of the era. In 1974, Achim Reichel rediscovered Novalis for his Gorilla Musik production company. New to the band were two guitarists, Detlef Job and Carlo Karges. The latter, previously with Tomorrow's Gift, would make a significant impact with both his songwriting and German-language lyrics. In fact, Novalis would be one of the first German groups of the era to shun the prevailing trend of English lyrics to instead explore the lyricism of their native tongue. 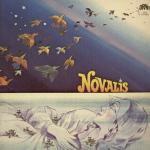 Back with the Brain label, they released their second album, simply titled Novalis. The instrumental "Sonnengeflecht" opens with a brisk melody and updated sound; no wonder, the translation is "Solar Plexus." "Wer Schmetterlinge lachen hört" (literally, "who hears butterflies laugh") begins with an air of formality, but quickly descends into a swift instrumental workout featuring both guitarists. Lutz Rahn's Hammond organ is still central to the Novalis sound; but here, he adds further texture with synthesizer. "Dronsz" is a treat: It bypasses their typically romantic arrangements for an indulgence in sound that's slightly out of character for the band. Taking its theme from Bruckner's Fifth Symphony, the second side leads off with "Impressionen." 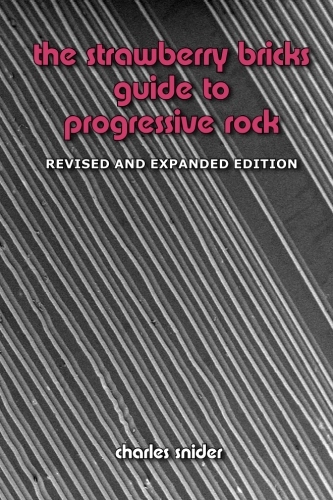 This track contains more of the formality of their previous work; but with the addition of the two guitarists, it further emphasizes their rocking dimension. The closing track, "Es Färbte Sich Die Wiese Grün" ("the meadow colors [itself] green") also reaches out to the past, this time adapting its lyrics from the poetry of Karl Friedrich von Hardenberg, where they also found their namesake, Novalis. Here the rhythm section of Hartwig Biereichel and Heino Schünzel (the latter also provided vocals for the album), drives the song. The arrangement is more diverse, but the melodies are classic. Before Novalis' next album, Karges would depart, and eventually ended up in Nena's pop band, co-penning her massive hit, "99 Luftballons." 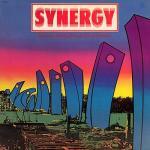 Synergy was the sobriquet of Larry Fast's one-man synthesizer show. Hailing from New Jersey, Fast would rise to prominence as one of America's premier electronic musicians, largely through a series of albums released on the Passport label. Released in 1975, his debut album, Electronic Realizations For Rock Orchestra, set the stage. Awash with synthetic flourishes and Mellotron a-plenty, "Legacy" unfolds in a familiar way. But the promise of the initial heavy sequence fades into something altogether lighter, much to this listener's chagrin. "Slaughter on Tenth Avenue" continues with an even richer electronic texture, but the spry and protean melodies are closer to light instrumental music than strictly prog rock; the second side continues in the same palatable fashion. Throughout, Fast's compositions are exquisitely conventional, yet still full of dramatic suspense, and constitute one of the early examples of electronic music that would find commercial prominence in the 1980s. Fast mostly used a Mini Moog synthesizer and outboard gear to create the music, and as he would always state, "Nobody played guitar." Certainly, this was a technical feat; and in fact, Fast had a parallel career as an engineer: He worked on early synthesizer and recording technologies, including building synthesizer modules for Rick Wakeman of Yes while he was still a student in the early 70s. 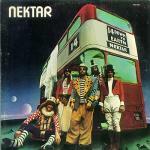 In addition to future Windham Hill mainstay Shadowfax and Canada's FM, both Nektar and Peter Gabriel would employ Fast's talents as a musician and/or producer. His next album, Sequencer, was similarly playful; but the darker and more rhythmic 1978 release Cords stands as a career highlight. Fast would release another handful of albums over the next decade, while also finding time to curate the Audion label for Passport Records Group. Bassist Peter Vink and drummer Beer (what a great first name!) Klaasse, both previously in one of the Netherlands' original R&B bands, Q65, founded Finch. After a series of personnel changes, the duo recruited guitarist (and composer) Joop van Nimwegen and keyboardist Cleem Determeijer. 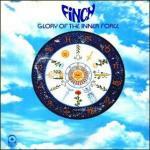 The band then inked a deal with EMI and recorded their first album, Glory Of The Inner Force. "Register Magister" introduces the Finch sound. Immediately identifiable, the band is both effusive and relentless, and somewhere in between the grandiosity of Yes and the complication of the then-current fusion. The themes are melodic yet, above all, Finch never fails to rock out. "Paradoxical Moods" showcases the virtuoso talents of both Determeijer on organ and Nimwegen on guitar. "Pisces" opens the second side to a considerably slower pace, and reveals some influence from (you guessed it) Focus. The band gets heavy again on the closing "A Bridge to Alice;" but halfway through, an acoustic guitar takes over. As Dag Erik Asbjørnsen suggested in his Scented Gardens of the Mind guide, Finch's music "liv[ed] up to your best or worst expectations of this genre." I must agree. The album saw a US release on Atco Records and went on to sell an impressive 20,000 copies worldwide. Subsequently, Finch recorded two further albums: Beyond Expression in 1976, which earned a Radio Veronica album of the week honor, and their final record (with new members, keyboardist Ad Wammes and drummer Hans Bosboom), Galleons Of Passion, the following year on Ariola imprint Bubble. Both were credible, if analogous, efforts.